The clash sphere generator is a useful software that facilitates the project coordinators to import conflicts from Naviswork to Revit. The project coordinator can easily convey the locations for conflicts to the design team. 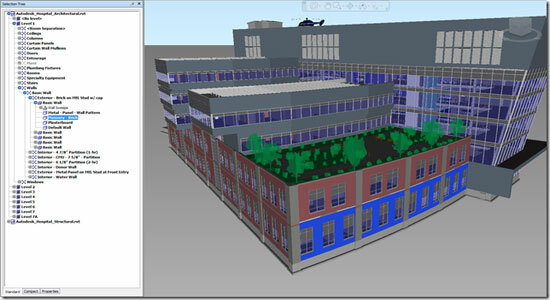 The software can study locations and generate clash spheres in the BIM model by exporting the clash report through Navisworks in text layout. Each sphere can be recognized with an identification number prevailed in the report. The number simplifies the process to track and work out with Revit schedules. In addition to provide information on selected objects, the clash sphere generator empowers the users to preserve information regarding type of issue. Thus the project team members can easily solve the issue. Processed issues are recorded as ‘completed’ and comments can be inserted, which indicates that only lively issues devoid of the whole BIM model should be communed amid team members. This feature allows a strong and open collaboration workflow among all parties throughout the design and building progression. The communication between a project and project team members is enhanced through a well organized and perfect workflow. The project team members can get rid of the issue like transmitting big files over the internet. Using the clash sphere generator results in a more efficient and accurate workflow because communication within a project, and between team members is improved as well as eliminating the need to transfer large BIM files over the Internet. Supplimentary model checking software training is not necessary. Evaluate conflicts in their original context to solve them without difficulty. Transmitting of big file through the Internet is not required.